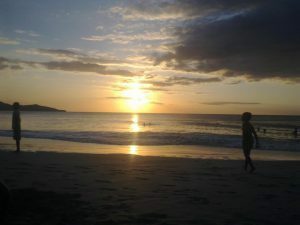 Our Costa Rica eco-tour vacation package will take you places you’ve only dreamed about. 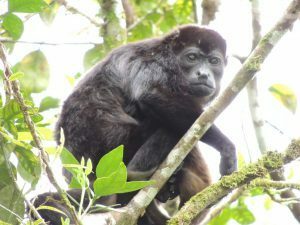 From cloud forests to lush rainforests to erupting volcanos you’ll experience Costa Rica’s tropical ecosystems and amazing flora and fauna along with literally thousands of exotic plants and animals. 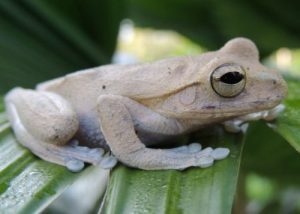 Today you’ll arrive at Juan Santamaria International Airport in San Jose where your friendly Green Frog Adventures Guide will be waiting to transport you to your first exotic destination. 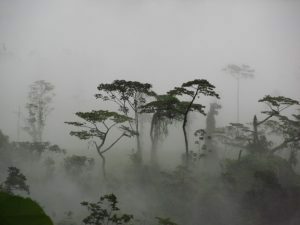 From San Jose we’ll start making our way up into the highlands of Costa Rica into the Los Angeles Cloud Forest. Our hotel for the next couple of nights is set on its own massive wildlife reserve and is in our opinion, one of the most serine, tranquil places on earth. Wake at your leisure, and after a delicious breakfast we’ve scheduled a private nature hike for you. 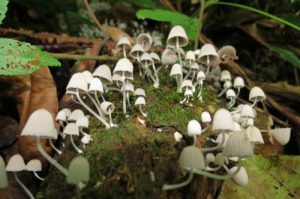 The forest has a multitude of trails that cater to all ability levels and we’ll provide a professional Naturalist Guide to point out and explain all of the forest’s hidden treasures. The rest of the afternoon and evening are yours to relax and enjoy this amazing paradise. Today, after breakfast, we’ll start making our way to our next exotic location. La Fortuna is a quaint little mountain town located at the base of Costa Rica’s most active volcano, Volcan Arenal. Then, the afternoon and evening are yours to soak your weary bones in one of the steaming thermal pools at the resort located at the base of the volcano. Sip on a rum-filled coconut at the swim up bar while you watch the volcano explode. Soak long into the evening then settle in for a well-deserved night’s rest. The Arenal Hanging Bridges are one the most beautiful environmental friendly projects in Costa Rica. 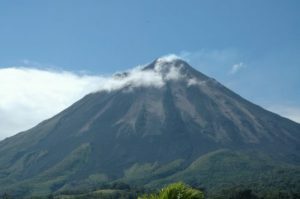 Located in front of the Arenal Volcano, within the corridor followed by birds migrating between North and South America, the trails and bridges of this project will bring you as close as you could ever hope to get to the birds, the flowers and the lush vegetation of the primary rainforest. Walk right into the forest, thanks to the imposing hanging bridges overlooking the canopy and our easy, safe, and beautiful trails with stunning views of the volcano. 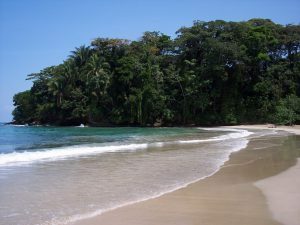 Today we’ll start the day with a wildlife float trip through the rainforest on the Rio Penas Blancas. 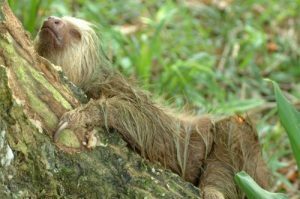 You’ll see hundreds tropical bird species, monkeys, sloths, reptiles of all sorts, including caimans, huge iguanas, and tons of other exotic creatures. This is truly one of the most pristine and savagely beautiful places on earth. Today you get up close and personal with some of the most exotically beautiful and sometimes deadly creatures in the world. You’ll see stunningly colorful poison dart frogs, blue morpho butterflies emerging from their chrysalis, and lizards and snakes that defy description. Bring an extra memory stick for this one! 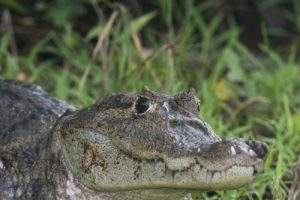 Today we’ll do a sea kayaking trip to one of the area’s exotic mangrove swamps where we’re sure to see dozens of species of mammals, reptiles, birds, and many other exotic creatures that inhabit these unique and strange ecosystems.